. يعرف TFE Hotels بالمستوى الراقي لخدماته ولباقة موظفيه، وهذا ما ستجده في فندق رانديفو بيرث سنترال. يقدم هذا الفندق العديد من الخدمات الكفيلة بإرضاء أكثر الضيوف تطلباً. تعكس غرف الفندق البالغ عددها 103 المنتشرة في 4 طوابق جواً من الدفء والألفة.خدمات عصرية مثل تلفزيون بشاشة مسطحة, غرفة معيشة منفصلة, اتصال لاسلكي بشبكة الإنترنت (مجاني), غرف لغير المدخنين, مكيف هواء موجودة في بعض الغرف المختارة. يمكنك الاستمتاع بالأجواء المريحة التي تقدمها مركز للياقة البدنية, ساونا طوال النهار. مهما كانت دواعي سفرك فإن فندق رانديفو بيرث سنترال هو خيار ممتاز لإقامتك في المدينة. العقار لا يقبل الدفع نقداً. على جميع الضيوف الراغبين بالإقامة فيه أن يبرزوا بطاقة إئتمانية عند الحجز و عند تسجيل الدخول. Friendly staffs, Green CAT Bus stop just walking distance away. Room is spacious. The only set back is that Free wifi/ internet seems complicated to connect. End up, I was using my mobile data instead. This is a small hotel located near the convention centre.The room was large and clean. The bed was comfortable.Check in and out was fast. City centre is within walking distance where you can find many fast food and restaurants. It was a lovely place to entertain family and friends and I do look forward to more Asian comfort dishes like soups and rendezvous style curries. The car parking was very tight and you must pre book a spot if you intend to stay and drive in Perth town. The alternative arrangement with Wilson parking is expensive and inconvenient. Was welcomed with a box of Max Brenner chocolates as it was Boxing Day. Reception staff was very helpful and friendly and made us feel at home. Great service attitude! Room was good too, spacious and comfy, you can find everything that you need. Very good location and walking distance to the main city area. Good service, and great coffee! Food variety was very limited albeit there were plenty on the menu. Most were unavailable during my stay. Very friendly, helpful staff. Enjoyed my stay and value for money. Overall it was superb. However, it was a bit frustrating when I have to checkout on 16 Sept and checkin again on the same date in a different room. Initially, I booked the room for 13 to 16 Sept but days later I extend my booking for the period of 16 to 18 Sept. What is annoying is that I have to checkout on 16 and checkin again on the same day in a different room. I should be given priority to stay in the same room and don't have to check out on 16 Sept. Afterall, the booking were done no less than 2 weeks earlier and all had been paid for. It was superb. However, for my check-in on 16 Sept it didn't go too well. Initially I book the room for 13 to 16 Sept 2014. Then I booked again for 16 to 18 Sept 2014. For that, I have to check out at 11 am and check in again at 2pm and in a different room. I should have been given the priority to stay in the same room and don't have to check out on 16 Sept. Afterall, the booking was done more than 2 weeks earlier. I chose this hotel because of its location, and I was not disappointed. The hotel was within 15 minutes walk to the city's street malls, as well as King's Park. The rooms were spacious, clean and comfortable. If you are looking for a hotel with value for money, this is it. Pros: Good location, value to money, clean Cons: Noisy as it is close to the main road and there is a pub just below the hotel. Parking is AUD 25 per day. Free wifi is 256kb, very slow but usable. Inconsistent lightings in the room. Some yellow and some white bulbs are used. Friendly and helpful staff, neat and clean hotel. 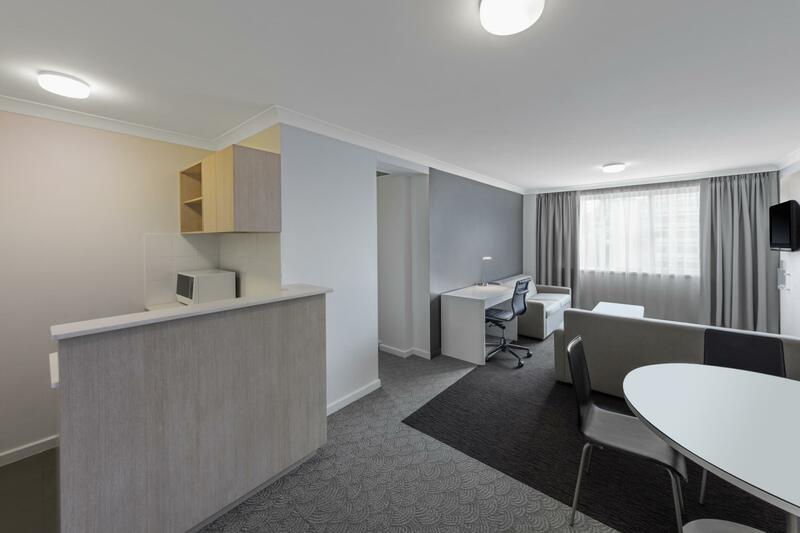 Consider quite close to Perth CBD area within 10mins walking distance. Near to park and hotel also have basement car park, but it is chargeable at Aus25 per night (quite expensive). Cons is Wi-Fi is very much slow and most of the time is not accessible. Overall, it is a nice hotel and the pricing is consider fairly affordable for a city hotel. Our stay at the hotel was comfortable. The rooms were large and clean. However, the bed was only a queen bed. It would be perfect if the bed was of a king. The hotel is quite centrally located and u can take the free CAT buses if you need to. There is also ample parking outside and around the hotel should you be renting a car. We stayed for one night only but its a quiet and clean place. Parking for cars are available for free just outside the hotel but its only from 6pm to 8am the next day. Else, park at the hotel costs AUD$5. Easily can walk to the CBD and the Kings park. Nice hotel without much frills, good size of room and bathroom, all clean, walking distance to the city and the elevated city park with river view, nice staff, good service - very good to come back! The surroundings are very quiet since it is off the street a bit which is great. Good to explore Perth. Close to city centre, good shopping and clean. Very close to the city center with top shopping. Not far from the airports and the casino. 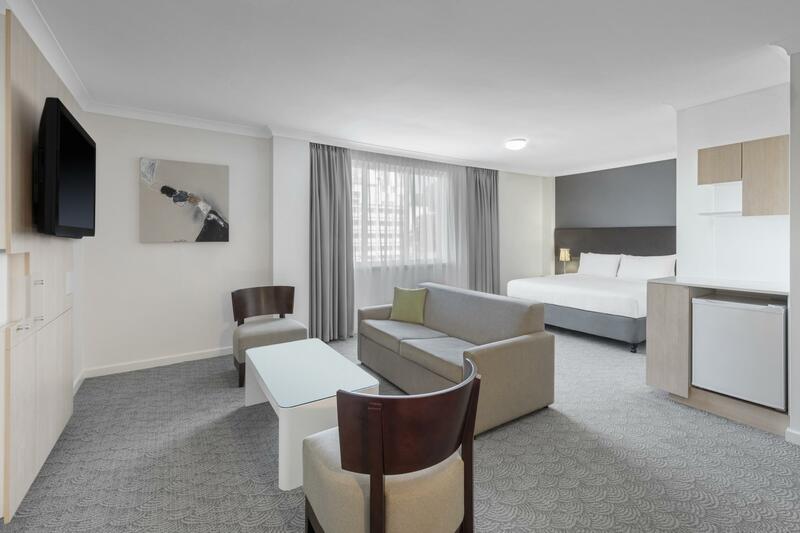 Northbridge for the nightlife scene is only a short cab ride away. Not far from Freemantle for good restaurants, museums, shopping and a large market. The Dollhouse is good for a little female fun and not to expensive. 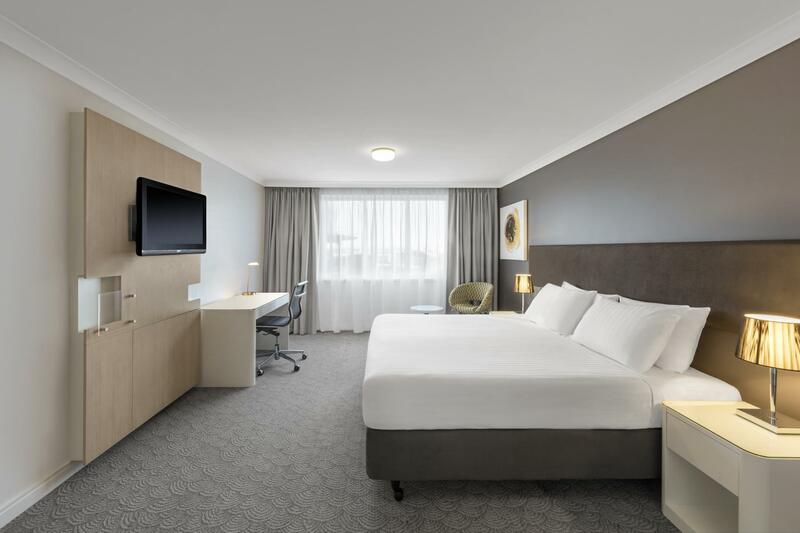 This hotel is very close to the city center which takes only 10 minutes to Hay Street. We stayed in the one bedroom suites which is very good. The room is big and the staff was very friendly to us. Room is clean and with nice view.They offer 1 hour free wifi everyday. However, car park is very very small , I'd rater park on the street outside the hotel . I just wonder why this hotel needs a $100 security deposit when you can always pay the damages or the charges when you checked out. The lady at the reception wasn't very clear about instructions as well and was not very friendly. Other than her the other staff including those who workes at the bar were very accomodating and helpful. 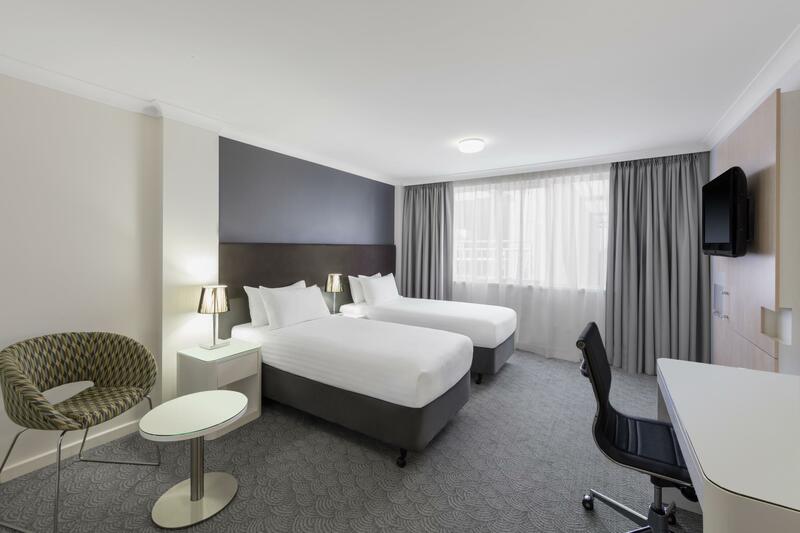 Pros Close to convention centre and kings park Nice restaurant and good breakfast buffet Price Comfy bed Restaurant makes a great burger Cons Rooms tired Tv is average quality and screen picture is squashed Air con can’t be adjusted in room beyond a few degrees, we were freezing Parking is a problem. Street parking only at hourly rate, undercover parking at a fee or city of Perth parking a considerable distance from the hotel. This is the main reason we wouldn’t recommend the hotel. Our room was advertised on Agoda as have a kitchenette with a microwave, this didn’t exist, our late check out also didn’t go through to the hotel, the hotel staff gave us a complimentary late check out however on request. The hotel isn’t as close as some others to other restaurants and with our car parked a 10 minute walk away we were limited to dining at the hotel, this was expensive but it was nice food.